Another one of these light-coloured relatively late handy, light-running and versatile machines. 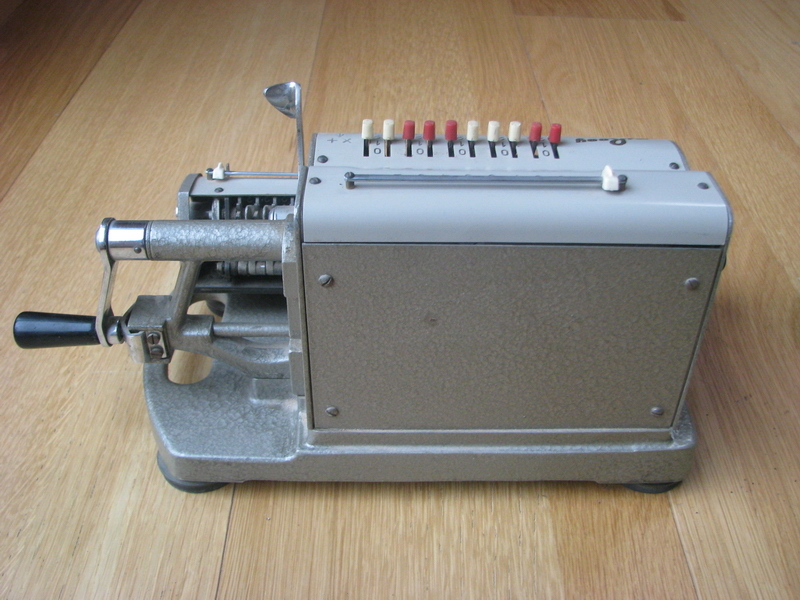 It has back-transfer, but not one-hand operation. 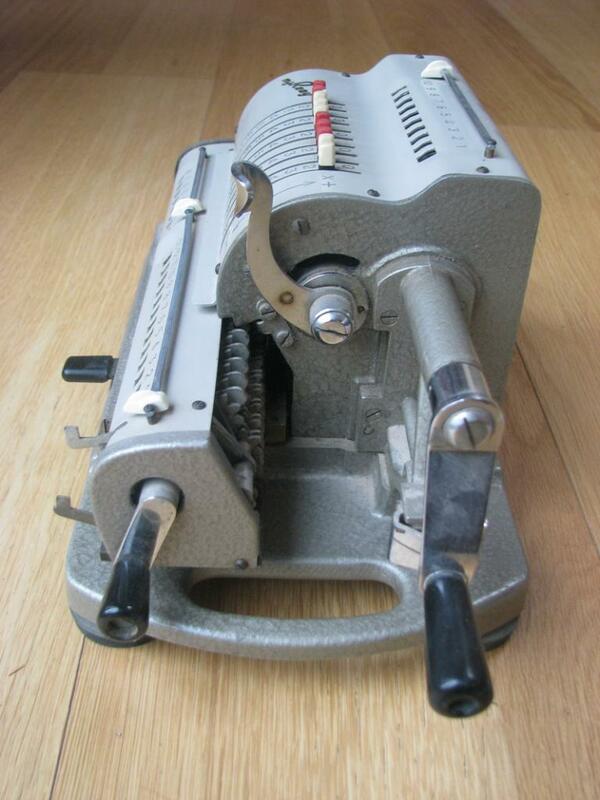 It is also a geared sector machine with non-moving setting levers, and is made by the M.J. Rooy company, based in Paris, where they made index typewriters and large-size typewriters under license from Udnerwood. 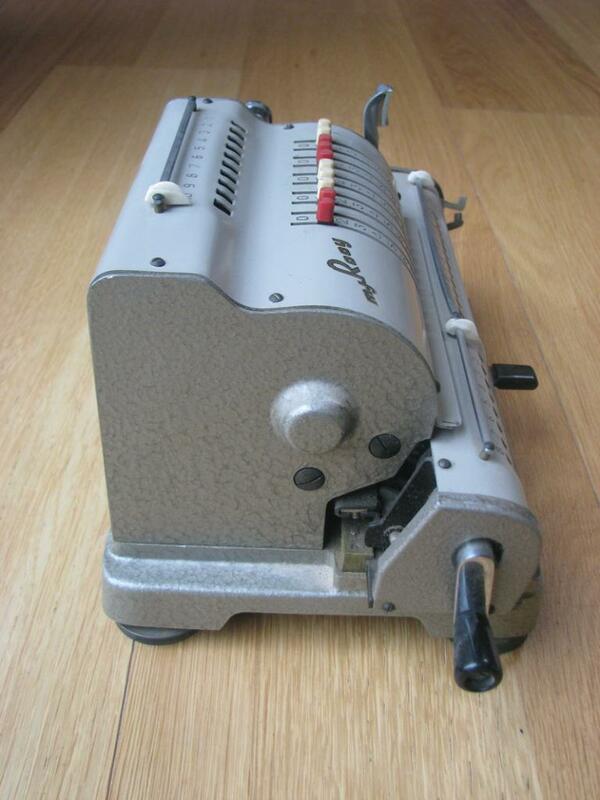 From 1948 on, they had been making ultra-slim typewriters under the name Rooy. Prior to that, . They did manage to piss off the Royal typewriter company by doing this, and the court sided with Royal at the end of 1954 - so they changed their brand to M.J. Rooy, which is admittedly less similar. 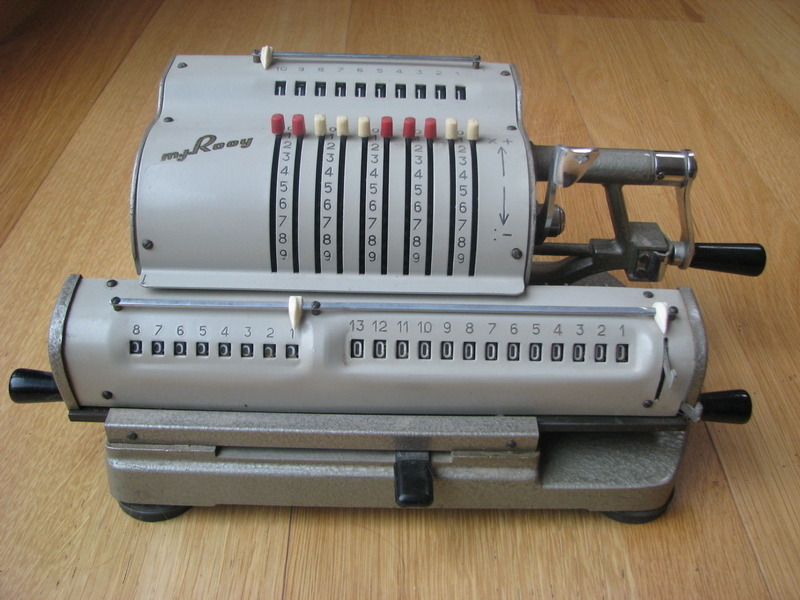 This calculating machines dates from some time after 1955 - end of the 50s seems like a sensible date.